Come along and enjoy a Guided Walk on Ballycuggaran, or Baile Ni Chogarain in Irish, which was homeland of the O’Cuggarans, an important family at the court of Brain Boru. 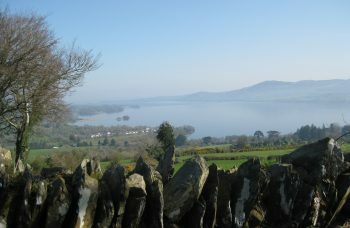 Aoibheal’s Rock, the legendary abode of Aoibheal, fairy queen of the O’Briens, is at the highest point of Ballycuggaran. This walk is 7km and follows forest road, forest track and minor road through dense forest and open hillside on the shoulders of Feenlea Mountain and Crag. Please bring suitable walking shoes/boots, waterproof clothing and fluid. MEETING POINT: The Map Board at Two-Mile-Gate, Killaloe. Guided walk is free of charge with an optional donation. Co-ordinated by Clare Walks Ltd.